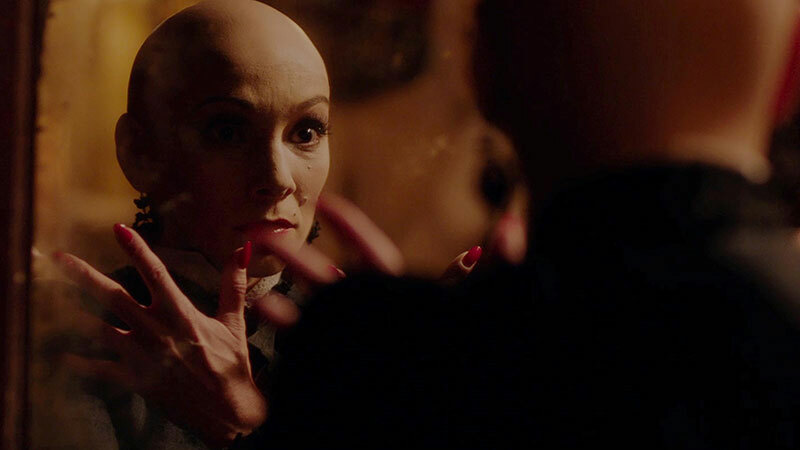 Acclaimed British director Peter Strickland (Berberian Sound Studio, The Duke of Burgundy) has come up with his most demented vision to date with this beguiling, sinister, and darkly comic ghost story featuring an entrancing cast including Marianne Jean-Baptiste and Gwendoline Christie. Like a perverted cross between Phantom Thread and Suspiria, In Fabric is set against the backdrop of a bewitching department store run by an unusual coven during a busy winter sales spree. Taking place within the world of 1970s fashion, this outrageous blend of camp and horror follows the lives of various characters as they are pulled into the orbit of a cursed scarlet dress that seems possessed by the devil. A psychosexual phantasmagoria results from the demonic garment’s unholy hold on its victims, taking a lonely woman, a young male shopper, and a washer repairman down a terrifying path splashed with blood and other bodily fluids. Part surreal thriller and part Giallo love letter, the hypnotically original In Fabric is a nightmarish vision of materialism and obsession. The Florida Film Festival is presented by Enzian, Central Florida's full-time, not-for-profit alternative cinema, which seeks to entertain, inspire, educate, and connect the community through film.